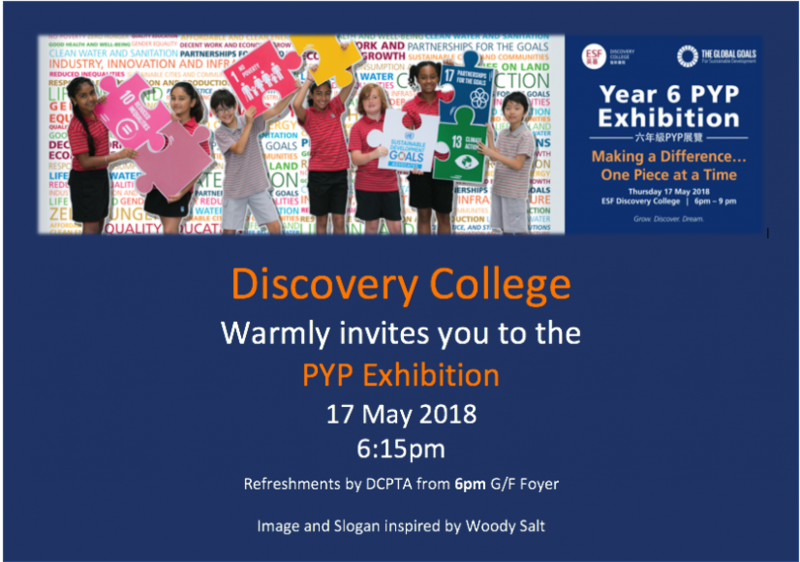 Our Y6 students and teachers, would like to formally invite you to their Y6 PYP Exhibition evening at 6pm on Thursday 17 May, the culminating experience of the PYP. This year you will witness 120 “Agents of Change” spending the evening being advocates for the issues they have been inquiring into based on the 17 UNICEF Global Goals for Sustainable Development. We begin the evening in the DC Theatre with dance and drama performances, then move into four sessions of advocacy speeches (TED Talks, Soapboxes, and Elevator Pitches), group exhibits, live music performances and an art gallery to explore. We hope to see you all there to celebrate this evening with our students and their families.